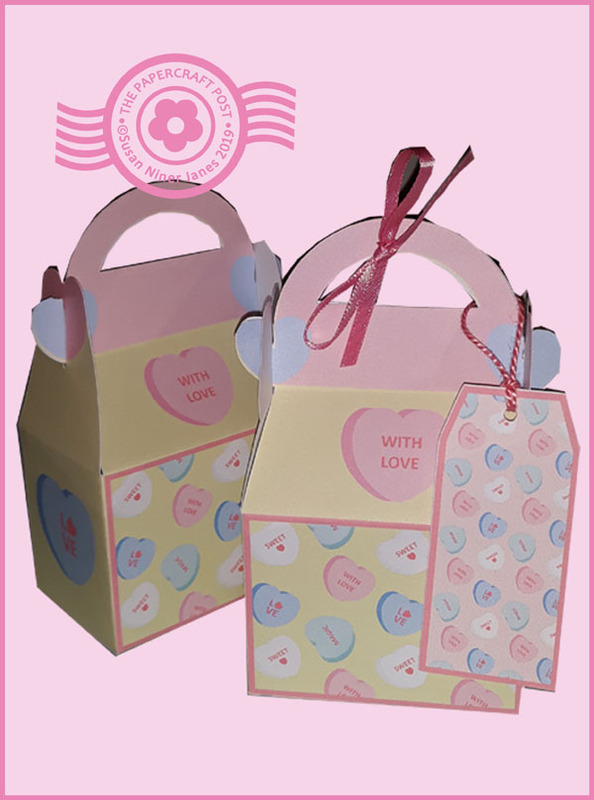 No sweetheart candy shortage on the papercraft front! 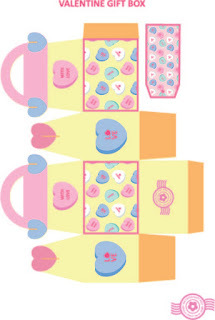 Here's a fun candy print gift box. The handle hearts slot into the side panels to open or close the box. Gift tag, too.